Prominent Islamists in the United States have donated almost $700,000 to federal candidates over the past 15 years, according to a new initiative of the Middle East Forum’s Islamist Watch project. Associates of the Council on American-Islamic Relations (CAIR), national and local, lead the way, giving candidates for federal office over $430,000. 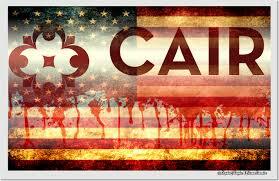 The group was named an “unindicted co-conspirator” in America’s largest terror financing case where a federal judge found “ample evidence” of CAIR’s link to Hamas; also, “the FBI does not view CAIR as an appropriate liaison partner,” and recent court documents found the group concealing foreign donations through shell organizations. Donations were also analyzed from associates of: Islamic Circle of North America, Islamic Society of North America, Muslim Alliance in North America, Muslim American Society and Muslim Public Affairs Council. The database currently covers only federal contributions. State-level data will be added over time. Further, it is limited to individuals with formal and senior roles at six Islamist organizations. For these reasons, IMIP sees the $700,000 as the tip of an iceberg. Islamist Money in Politics has also established the most comprehensive listing of prominent Islamists – senior-level officers, staffers and board members of the six organizations. It serves as a heads-up to politicians wary of taking Islamist funds, and a useful tool for researchers and reporters.